Song of a Black-horned Tree Cricket (scroll down for explanation and additional recordings!). An extremely handsome member of the tree cricket clan, the Black-horned Tree Cricket is easily identified by the black markings found on large portions of its body and legs. This species is an inhabitant of brushy fields and roadsides, as well as bramble thickets. The males are fond of eating a hole into a leaf and then using it as a singing perch. They may also sing from the underside of leaves. They are most easily found singing in their habitat in late afternoon. 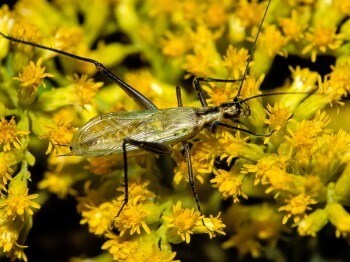 In the western portion of their range, they are replaced by a look-a-like species, the Forbes’s Tree Cricket. The two species can only be identified by examining their songs. 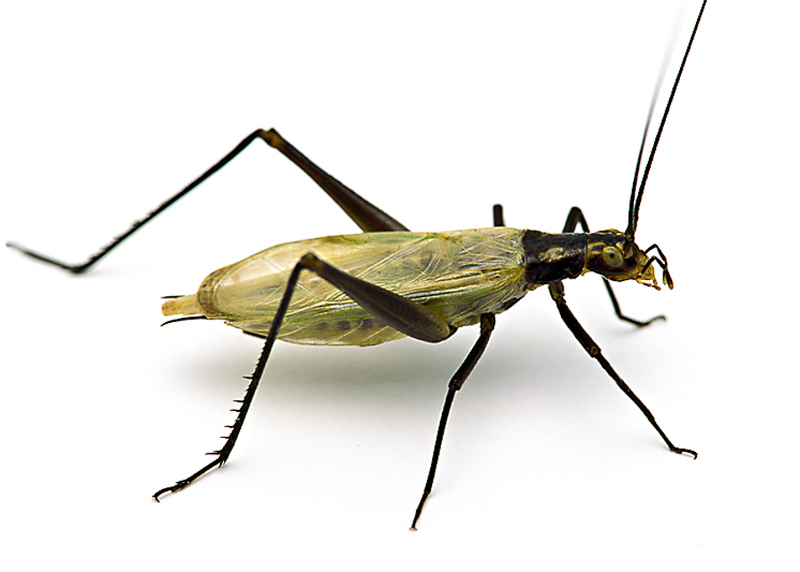 Black-horned Tree Crickets sing at about 45 pulses per second, Forbes’s sings at about 60 pulses per second. The coloration of Forbes’s Tree Crickets is also more variable with very dark to very light individuals being found throughout their range. 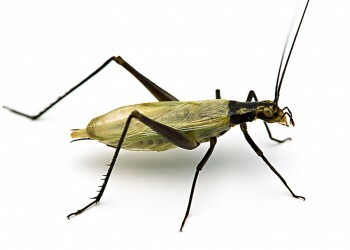 Black-horned Tree Crickets are found from eastern Ohio east to the Atlantic coast and from the mountains in western North Carolina and western Virginia (including eastern Tennessee), and north throughout most of Maine and southern sections of Canada’s Ontario and Quebec provinces. Song: A loud, continuous trill, consisting of about 45 pulses per second, with a frequency of about 3.5 kHz. Finding a singing male in a bush is truly an exercise in patience. He falls silent when disturbed and is nearly impossible to find until he resumes singing several minutes later. Sonogram of a Black-horned Tree Cricket. © Wil Hershberger. Most of the time it occurs within the first price ethinyl estradiol levonorgestrel 3..